Featuring a double row of nickel studs accented by the nickel eyelets down the center creating a cluster effect is quite the eye catcher. 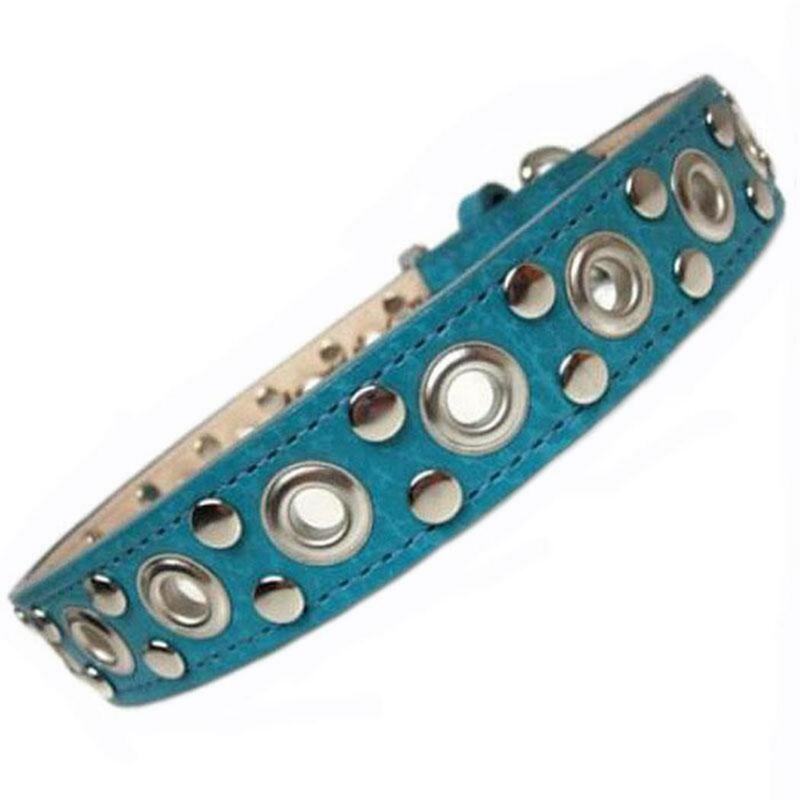 Each dog collar is wonderfully unique and shows off the 'tough' side of our pets no matter how big or small they are! It looks great on both boys and girls. The nickel D-ring to attach the leash is near the buckle. There is an O-Ring on the loop to attach an ID tag. Available In: 8" x 3/4" , 10" x 3/4", 12" x 3/4" , 14" x 3/4", 16" x 1" , 18" x 1" , 20" x 1" , 22" x 1"